This is the largest and most well known of the Canary Islands and is also the most popular of them, wit many people searching high and low to find a cheap holiday to Tenerife. This beautiful island is dominated by Mount Teide, the highest peak in the Canary Islands, that offers a stunning array of views and the national park it resides in has an amazing mix of flora and fauna. This is another popular destination and is the second largest of the islands. Gran Canaria is home to the joint capital of the Canary Islands and it is an interesting place because it is home to many different types of landscapes and climates that makes it an incredibly versatile place that has been recognised by UNESCO and naturally the many tourists that visit each year. The Canary Islands are famous for their good weather that is consistent throughout the year, temperatures are rarely below 20 degrees Celsius in the Winter and much warmer in the summer months. This makes it an ideal location to go at any point of the year and is the reason that it is a very popular destination for Europeans looking to get a little break from the winter. Along with the beautifully warm climate of the Canary Islands, the beaches make it such a spectacular place, especially because there is a large range of black and white sand beaches for you to enjoy. These are one of the draw cards for people to come back year after year to these stunning islands. 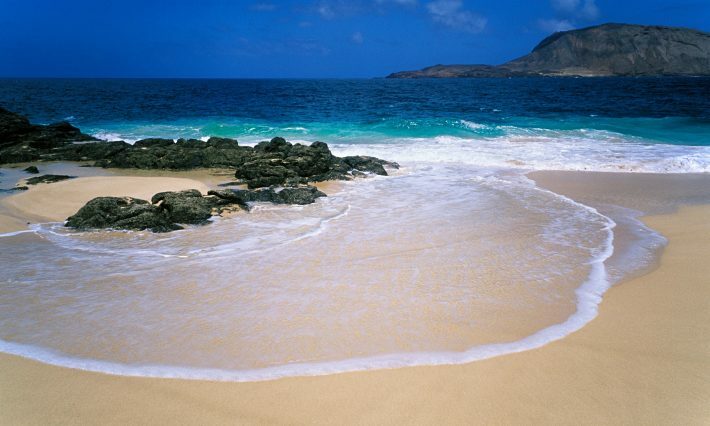 Some of the best beaches are ones like Playa El Bollullo on Tenerife (black sand) and Famara on Lanzarote (white sand). Of course it is obvious that the Canary Islands are a great place to relax with various beaches, but the beach culture also makes it an extremely good way to stay active whilst on holiday. So if you are more of an adventure goer, there are a multitude of activities available, such as surfing, windsurfing, hiking and many more. Mount Teide is another way to keep active that was mentioned above and you can scale this beautiful mountain as the ultimate challenge in the Canary Islands.